As the former pupil of an international school, one of the reasons I love the internet is that it has enabled us to reconnect, decades later, wherever we now live. 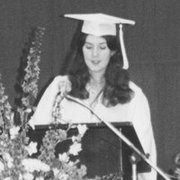 I asserted my own national status equally proudly, retaining my British accent when my few fellow countrymen in the school acquired the American twang dominated the classrooms. All lessons were officially taught in English, apart from French and German. Despite spending most of my first 14 years in a sheltered London suburbia (Sidcup, to be precise), passing the next four years in an international community made it second nature, once the internet had been invented, for me to make new international friendships online, as well as renewing old connections from my schooldays. I get a particular thrill when friends from different parts of my past hook up with each other online, such as a Becky, former neighbour befriending Janet, a past Californian classmate, and Katherine, a Sidcup schoolmate meeting – yes, meeting in real life – Jacky, a newer friend from recent years. They’d got into conversation while replying to my Facebook posts and something just clicked between them, if you’ll excuse the IT pun. Decades after leaving school, my career and family developments have caused me to join many new networks. Occasionally these also spark serendipitous connections. Just lately, in my role of commissioning editor of The Alliance of Independent Authors’ blog, I was pleased to receive a request from Christine Frost, a self-published author who’d written a blog post for me about the Boston Book Festival. She now invited me to write for the website of a US-based online community called GLU aimed at those affected by Type 1 diabetes. I’d had no idea that Christine had any interest in diabetes, but she’d noticed my ebook, Coming To Terms With Type 1 Diabetes. Long story short: the result was the publication earlier this week of my article on Glu’s website. Being a British writer, I was very pleased to have this opportunity to reach a largely US audience, and also to find out about this interesting diabetes-related website that otherwise might have passed me by. Thank you, Christine, for this opportunity – another fine example of serendipitous connections on the internet! 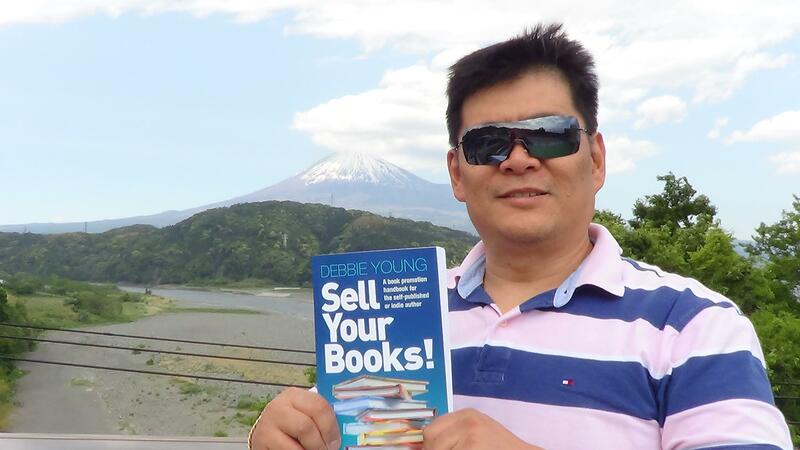 For any author, getting your books into foreign parts is always a thrill, and I couldn’t close this article without thanking Norio, a former classmate and good friend from my FIS days, for taking my first book on his travels, like some kind of global ambassador. Thank you, Norio – old friends are pure gold! Who have you connected with from your past on the internet? What’s the most obscure place the internet has helped you reach? Do tell, I’d love to know! I love this post, Debbie! I feel the same way about the Internet. My two favorite connections have been to get back in touch with my elementary school girlfriends (yes, we last hung out when we were 12) and have lunch with them last summer, and also to find many of the international volunteers with whom I spent my 18th year on an Israeli kibbutz. Gosh, connections don’t get better than that, Alison – literally the other side of the world! Great stuff! I think I met Kate on Twitter too, Elaine! I just love Twitter! Lovely post, Debbie. I went to school abroad for a while, in Switzerland, and the friendships made have spanned continents as well as decades. Our laughter warms us still.